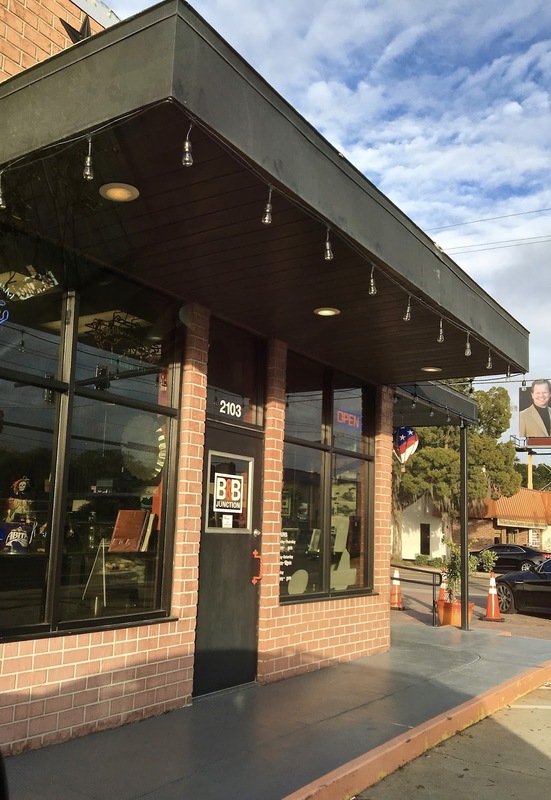 The menu at BB Junction is expansive with plenty of burger and sandwich options for all palates. Gluten-free sandwich bread and buns, both from DeLand Bakery are available for a $1.50 upcharge, as well as a bun-less or lettuce wrap options for those who want to skip bread altogether. 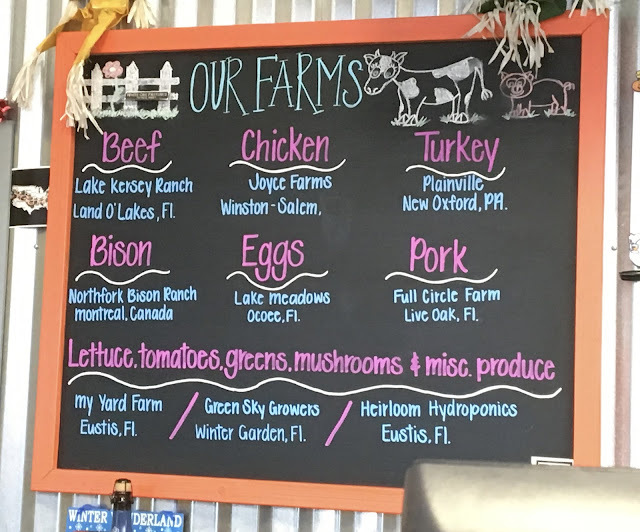 What's really cool about the menu at BB Junction is that the ingredients- from the meat to the veggies- are locally sourced. I love BB Junction's focus on keeping it local and making their menu transparent. When I stepped up to order, the woman who helped us asked if it was celiac or just a preference. Confirming that mine was an allergy order, she made sure the kitchen was aware that precautions needed to be taken to ensure mine was safe. While not a dedicated kitchen, I was impressed with her willingness to go above and beyond to make sure my food was safe. Other gluten-free menu notes include that gluten-free and vegan desserts are available. They are made by Valhalla Bakery, a local vegan bakery, and selection does vary. The cute chocolate cupcakes in the case the day I visited looked simply divine. Elsewhere on the menu, do not order fries if you are celiac or cross contamination sensitive because they are fried in a shared fryer. Because fries were off limits, I ordered a side salad. 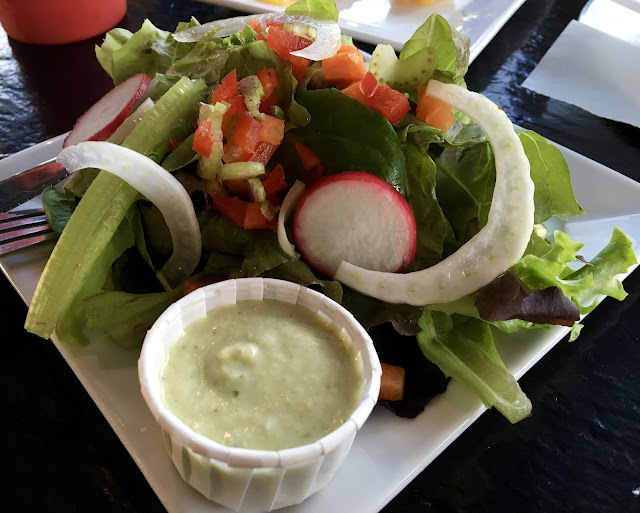 The vegetable medley of lettuce, radish, onion, and peppers was fresh and flavorful, and accented by green goddess dressing. The dressing is gluten and dairy-free. The dressing was cool and creamy and was an unexpected surprise as I normally do not like non-vinigarette dressings. For my entree, I ordered the classic and simple burger with a turkey burger. Not too fancy, the burger came topped with lettuce, tomato, pickles, onion and BB Junction's special sauce. 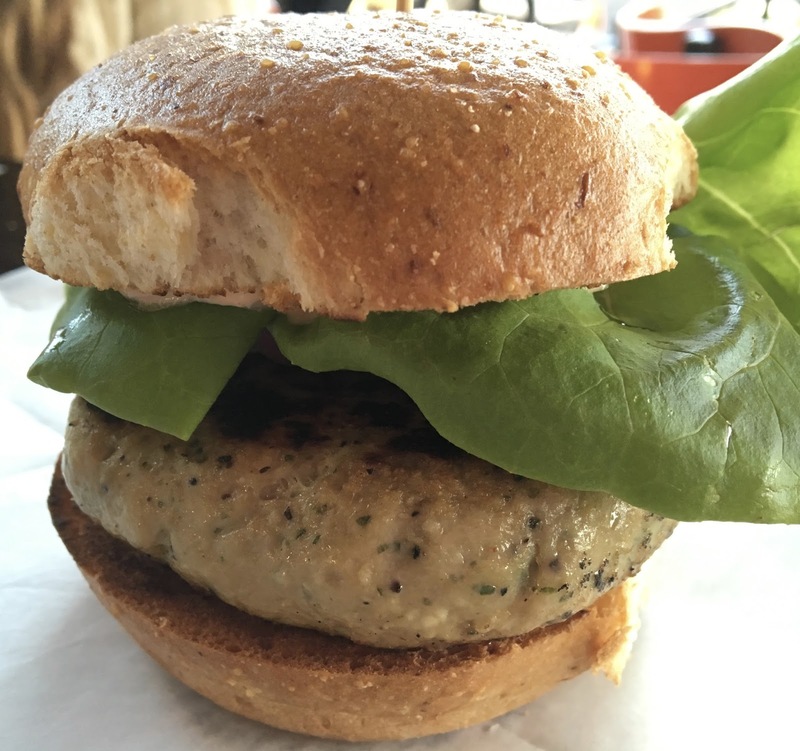 I loved the freshness of the vegetables and the turkey patty, which had onion in it. The DeLand bun was soft and supportive of the rather thick patty. I was impressed by how well the burger held together, given that most gluten-free breads succumb to sogginess and crumble into a messy disaster. BB Junction's burger was the real deal, and won me over easily. The Fairbanks location was once previously 4 River's original smokehouse (for those who've been in Orlando awhile). I like how BB Junction has made the space their own with a cute patio area and fun decor inside the small building. The place definitely has a local feel to it, and the staff couldn't have been nicer in answering all of my questions. Overall, I really liked BB Junction. 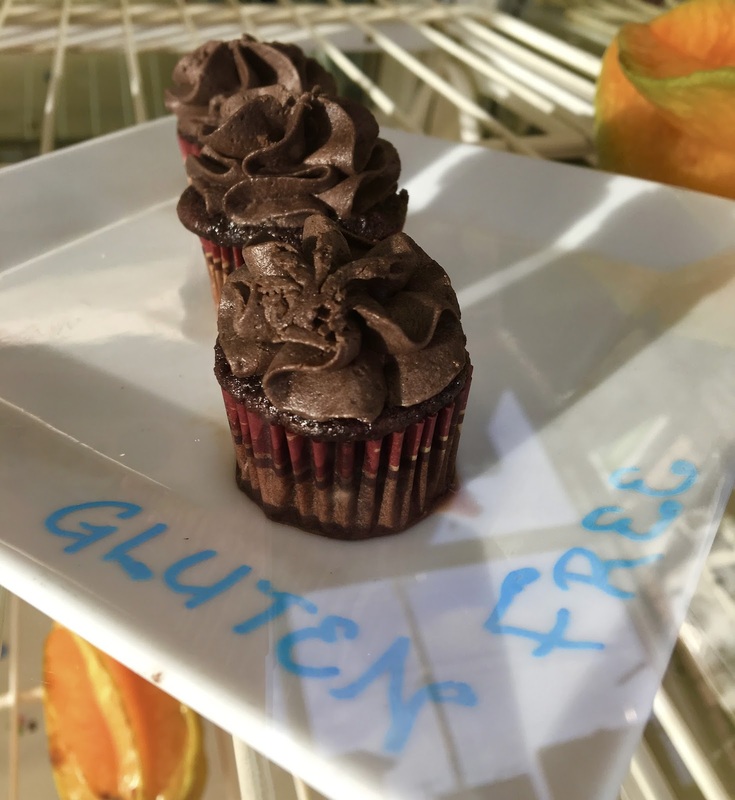 I love the focus on real, fresh foods and abundance of gluten-free offerings. My family often laughs that Orlando is home to the $10 hamburger with so many high end burger places, but I am more than willing to fork over a Hamilton for the top quality burgers BB Junction serves up. Besides, the meal was a perfect stop before heading to the Amway Center, where gluten-free offerings are practically nonexistent.